On the drive to South Portland this morning to get bagels (I love you 158 Pickett Street Cafe), I saw a surprising oil tanker in port – the Dubai Star! You might recall that Portland is the largest oil port on the East Coast (thank you Portland–Montreal Pipe Line). So yeah, that’s what’s in Casco Bay right now. Today’s the 50th anniversary of an oil spill in North Waterford, Maine. I never really though about it, but the Portland–Montreal Pipe Line runs through town on its way to Montreal. Apparently there’s also a pumping station there (along with the one in Raymond at the mouth of Plains Road). A break in the Portland Pipe Line a short distance from the pumping station at North Waterford made that area of Waterford a potential powder keg early Sunday morning. The pipe carrying crude oil broke on the hill above the Waterford pumping station and a brook of oil came rushing down the hillside and across the highway and into a small brook where it put an eight inch coating of oil over the water. The Oxford County Sheriff’s Department and State Police were alerted and road blocks were set up to keep spectators away from the area. Dee C. Hutchins, superintendent of the Waterford station said that the crude oil was highly combustible. The Norway, Paris and Oxford Fire Departments were called to the scene to be ready in case something should happen to ignite the fumes which filled the area. All available bulldozers from the area were rushed to the scene to build earth dams in the brook to keep the oil from getting into Crooked River. 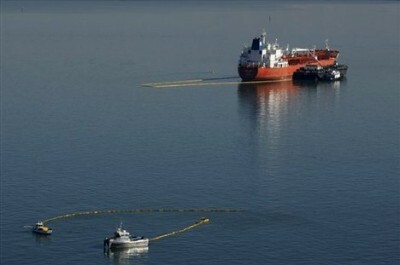 Hutchins estimated that over 1,000 barrels of oil spread over the area. Authorities confronted with the hazard decided to burn the accumulated substance, later Sunday. This was done in the brook which the bulldozers had turned onto a series of pools separated by earth dams. With an abundance of fire equipment standing by, the oil was burned one pool at a time. The smokey fire drew much attention from motorists in the vicinity. Train Station on Commercial Street?!? So there’s a proposal to extend train service northward from Portland to Brunswick. Apparently they’re looking for a new train station in Portland … and are seriously looking at Commercial Street and Center Street. Weird location, and then have the train go down Commercial? 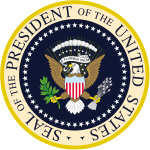 As you probably have heard, the 44th and current President of the United States Barack Obama is going to be in Portland, Maine tomorrow. Today Liz stood in the rain for two hours to try and get tickets to his speech at the Expo but they sold out. I still might go, just to get a glimpse of this epic man. 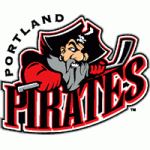 An hour ago WCSH reported Civic Center approves new deal with Pirates! Nice to see something still being produced in Maine. If you get the History Channel (I know it’s called simply “History” now but it’d be weird to say “If you get History”) watch Modern Marvels tonight. The B&M Baked Bean factory in Portland – that’s right down the road from our house – is going to be on it! Burnham & Morrill Company has been in the canning business since 1867. 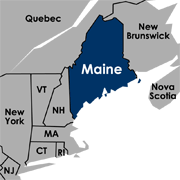 In 1910, the business was moved to its current location on Casco Bay in Portland. On Thursday, March 11th the B&M Baked Beans factory will be featured on the History Channel’s Modern Marvels. The show starts at 8pm. We don’t have cable, but maybe I’ll download it on iTunes tomorrow. Dude! I can see it now! I love mocking Portland “International” Jetport. But it’s friendly mocking. I was, however, concerned back in November when it was announced they were losing flights to Halifax, Nova Scotia – the only international route at the jetport (see “International” No More). But then last month Air Canada stepped in and announced it’d soon start a twice-daily Toronto to Portland route (see International Again!). The “International” name lives on!